City Year: Find Purpose Not Just A Paycheck! City Year is an education focused non profit organization that unites young people of all backgrounds for a year of full-time service, aimed at keep students in school and on track to graduate, in 28 cities across the country. July/August, through the end of the school year, teams of trained AmeriCorps members serve full-time in schools during the academic year as tutors, mentors and role models. 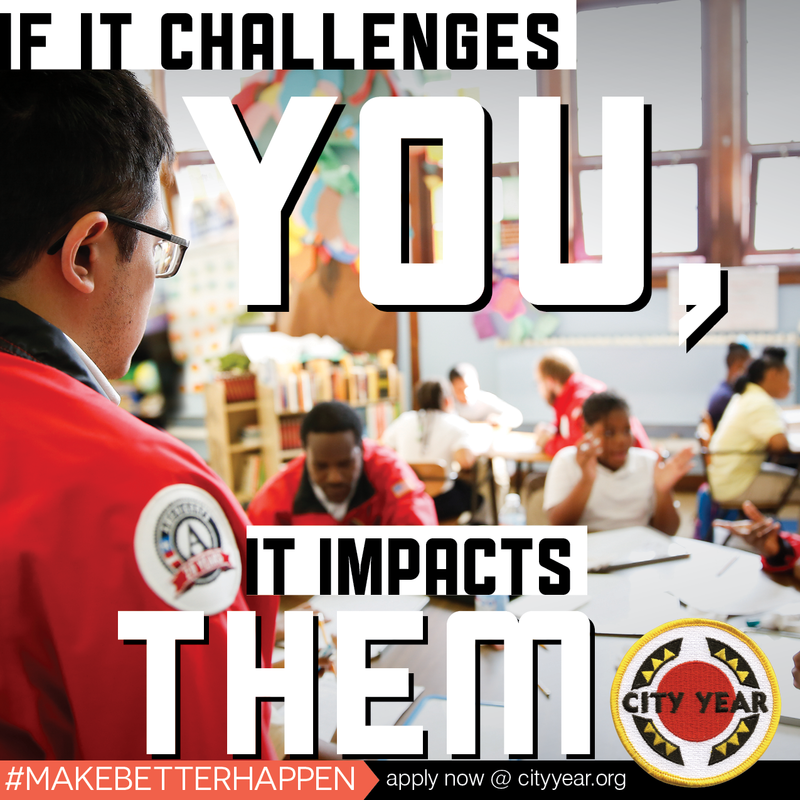 Want More Information about City Year: Find Purpose Not Just A Paycheck!? Your request will be sent directly to City Year. By submitting this form I confirm that I am at least 13 years of age and give my consent to be contacted by City Year by email as well as by phone and/or mail (if provided).